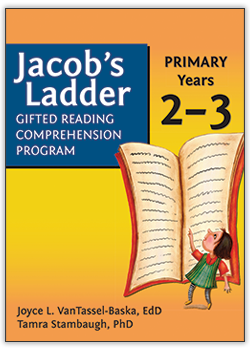 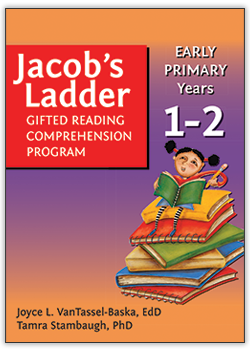 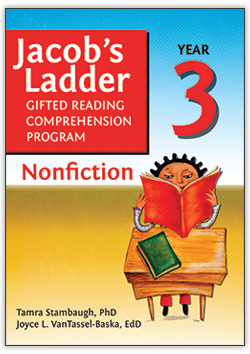 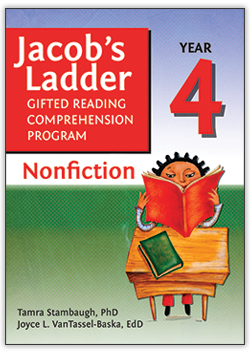 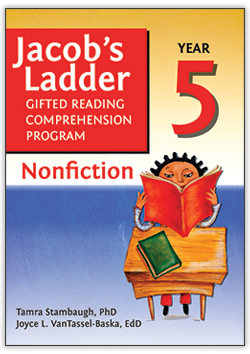 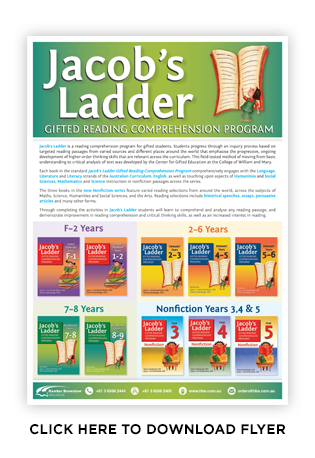 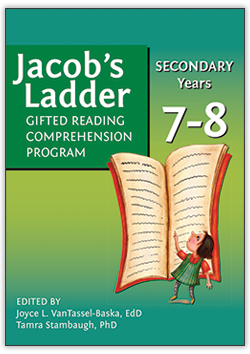 Jacob's Ladder is a reading comprehension program for gifted students. 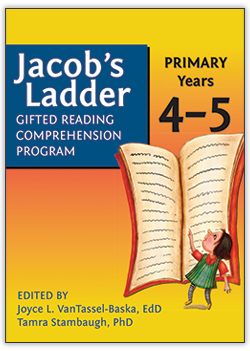 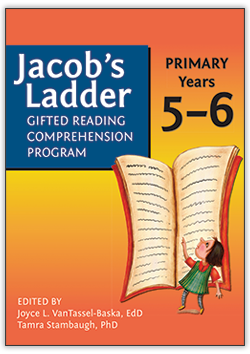 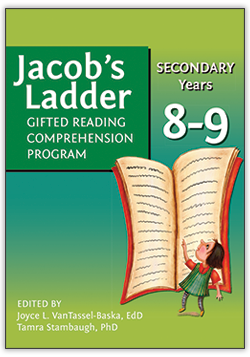 Each book in Jacob's Ladder comprehensively engages with the Language, Literature and Literacy strands of the Australian Curriculum: English, as well as touching upon aspects of Humanities and Social Sciences, Mathematics and Science instruction in nonfiction passages across the series. 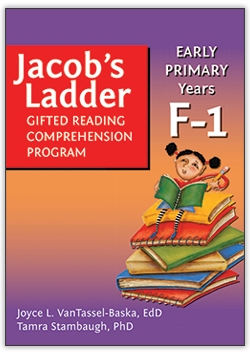 Through completing the activities in Jacob's Ladder students will learn to comprehend and analyse any reading passage, and demonstrate improvement in reading comprehension, critical thinking skills, as well as interest in reading.